The Conquest of the Incas is an extraordinary book. In it, rigorous historical research and profound analysis combine with stylistic elegance to produce a work that conveys to us, in all its richness and diversity, the tragic and fabulous history of the Inca realm; and it is as delightful to read as the best novels. 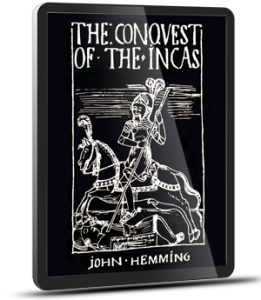 The Conquest of the Incas, John Hemming’s masterly and highly acclaimed account of one of the most exciting conquests known to history, has never been surpassed. From the first small band of Spanish adventurers to enter the mighty Inca empire to the execution of the last Inca forty years later, it is the story of bloodshed, infamy, rebellion and extermination, told as convincingly as if it happened yesterday. It also tells the social impact of the conquest, on ordinary Peruvians forced to work for Spanish masters or in hellish silver and mercury mines, on change of religion and government, and how survivors of the Inca elite reacted to the new order. This 2012 e-book edition includes an extensive revision and update of the text, bibliography, notes and other end-material, to report the latest theories and discoveries. It also has a new appendix about recent finds of Inca ruins in Vilcabamba beyond Machu Picchu. A must-read book for anyone considering a trip to Peru or wanting to know more about the final days of the Inca empire.